Each week we collect stories related to Canadian immigration, and we provide a brief summary of each story in our weekly blog edition. Below you will find snapshots of stories that range from the ongoing changes in Canadian immigration laws to success stories. We then give you fresh links at the bottom that link to each story within our summary. Let’s dive in! When people think of the latest technology they think of Silicon Valley, the home of the greatest tech companies in the world. The Silicon Valley has always been the hub for top foreign talent to build the newest and best tech products. Lately, the U.S. government has made it more difficult for these tech companies to hire foreign workers as they have a cap on expedited visas for high-skilled workers and a pending plan to restrict H-1B visas. Canada is stepping up and coming forward with competitive visas to lure more foreign talent to their country. The Canadian government started a view new programs to issue work permits and temporary resident visas in two weeks rather than the typical year processing times. This new program is called the Global Skills Program. This has been the latest attempt by Canada to lure more tech workers and businesses to move north of the US border. The government has allegedly also been said to be experimenting with tax breaks and looser regulations for high-skilled foreign workers. 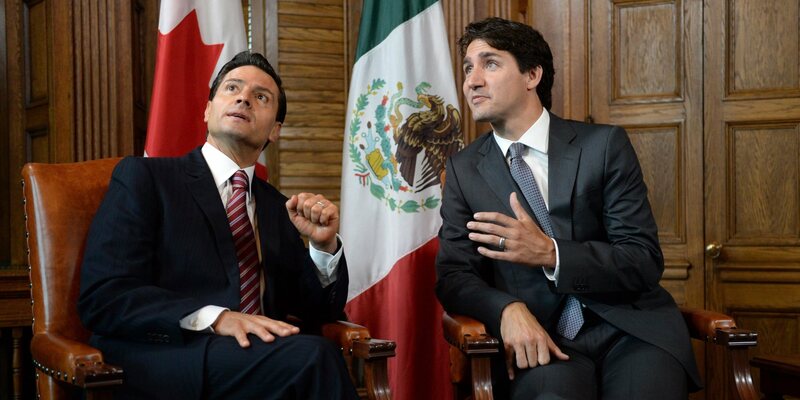 Recently, Reuters, an international news agency, discovered that Canada has detained about five times more Mexicans than they have in the past two years. The increase of detainment may be a result of the new visa requirements. “Canada’s detention of Mexicans surged more than tenfold from 24 in November to 331 in April, the data show. The number of Mexicans filing refugee claims more than quadrupled from November to March. Prime Minister Justin Trudeau promised to lift the visa requirement, imposed by the previous government, during the 2015 election campaign in an effort to improve bilateral relations. Visitors from Mexico can now apply online for an electronic travel permit in a process that takes minutes” Reuters quoted. Many people are looking at this stat as very interesting as Canada as portrayed themselves as the good neighbor with opening arms compared to the U.S. Although Canada may have created an easier process to obtain visas, the Canadian border agency also has the ability to “detain foreign nationals indefinitely on no charge if it believes they pose a danger to the public, if their identities are unclear or if they are deemed unlikely to appear for removal or for a proceeding.” The number of Mexican detainees has increased since Donald Trump took office and although it may be because Canada isn’t as open as people think it may be, it could also just be the repercussions of the increase of illegal immigration from immigrants seek asylum in Canada. In past researchers, immigrants have been proven to be more successful in business and self-employment in Canada than their Canadain native peers. More than 40% of small businesses in Toronto were owned by people born in a country other than Canada. There are many helpful opportunities for immigrant entrepreneurs in Canada. Although immigrants typically face the toughest of economic challenges, they have soared above native Canadians in business success. I was banned for two years due to misrepresentation. I want to apply again for Canada visa. I may not fall in Express entry program. Can I come to Canada on Student Visa. I have three years diploma in electronics and communication. I also have degree through distance education which is equivalent to B Tech in electronics and communication. Moreover , I have more than eight years of relevant work experience with a leading Telecom company Ericsson India pvt Ltd. Thank you for contacting us at VisaPlace! With your background in electronics and communication, you may be eligible for a student visa, but we will have to take a closer look at your case to determine this. Hiring an immigration lawyer will help you get answers to all of your questions, plus it will increase the chance of getting a visa approved. Please, complete this form for me http://www.visaplace.com/immigration-assessment/ it is just a quick and easy way for me to learn more details about your situation so that I will be able to advise you accurately and determine the best avenue for us to take to give you the best legal advice.